This is the first article in a two-part series about this car. One of the most recent ‘Your Car’ submissions at Petrolicious HQ made us all gasp and we knew that in its feature, it deserved more. 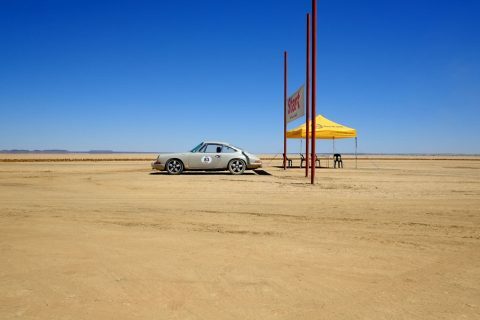 It’s great that Petrolisiti around the world can come together here and share their passion, like Gavin Rooke and his Porsche 912 from Johannesburg, South Africa. 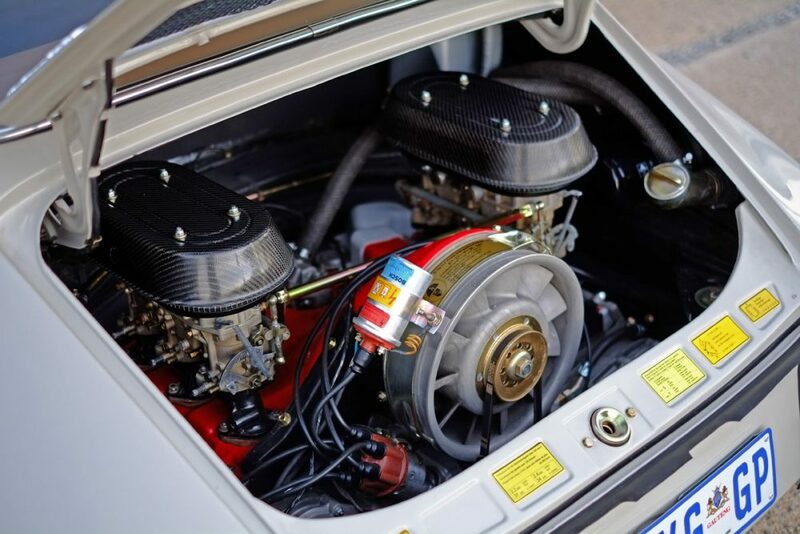 Gavin’s Porsche is a stunning concours-level integration of five decades of Porsche-only components in a classic 912 body. In the 1960s, when Porsche launched the first 911 model, the factory supplied “Factory Rally Kits” which included anti-roll bars, racing brake pads and a dead pedal rest as optional extras to private owners. These privateer rally enthusiasts would think nothing of blasting around in competition on the weekend whilst still using their beloved vehicles for daily commutes. This notion was upheld by people like independent driver Sobieslaw Zasada won the 1967 European Rally Championship for series touring cars in a 912. That year, Zasada and his 912 actually scored more points than the factory sponsored, Monte Carlo-winning race team. 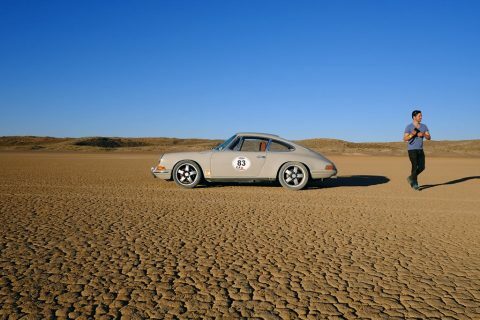 Since the idea of entering one’s daily commuter into a rally and racing competitively is now way out of reach, Gavin decided to produce a contemporary version of a 1968 Porsche 912 ‘Weekend Racer’. No longer constrained by ‘60s technology, he embarked on a full rebuild of the classic Porsche 912, integrating old and new into a final package that was then entered into the Kalahari Speedweek, close to Namibia. It topped 190km/h (almost 120mph), which may sound slow but remember that the track is effectively a bumpy dirt road. 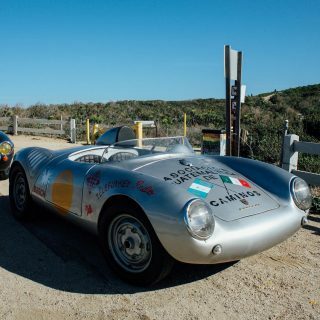 His passion for Porsche has been a long-term affair, first owning a 1964 Porsche 356 SC sixteen years ago, which he was forced to sell when his wife became pregnant with their first child. 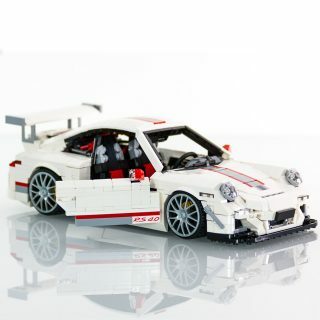 However, Gavin promised himself that someday he’d return to a Porsche, with eyes set on an early 911. As finances allowed, he started a search that lasted three years, finally sourcing a restorable, matching numbers 1971 911T. At the same time, he also found a 1968 912 which was complete and appropriately priced, but in need of significant restoration. 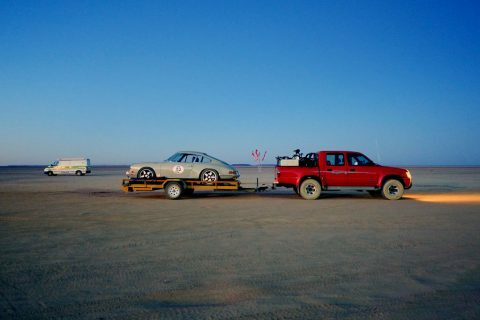 Gavin decided to buy the car as a potential parts donor for the 911 restoration. Fortunately, the 912 remained intact and once the 911 was finished, restoration work began on the 912. 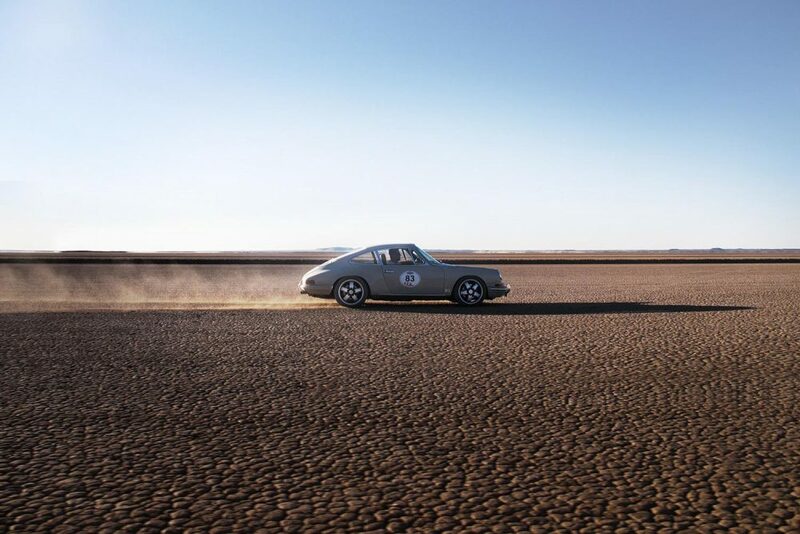 After reading extensively about the history of the 912, specifically its weekend racing heritage, Gavin decided to pursue the contemporary Weekend Racer idea. Gavin then assembled a broad network of craftsmen, dealt with over the preceding eighteen years and included them in his ‘Dutchmann’ project. Dutchmann is the name of the informal ‘guild’ of South African master craftsmen that pairs older, often retired artisans with younger designers to produce interesting objects and projects. 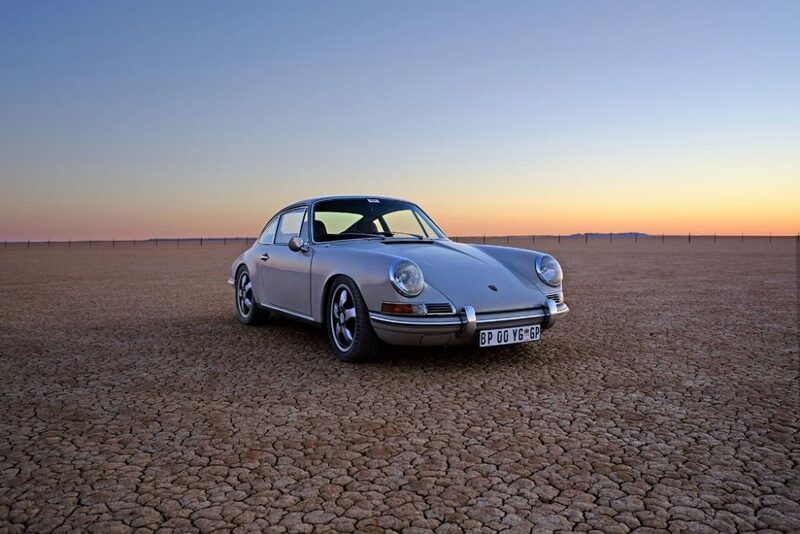 He decided to include the 912 in the guild once he realised that guys that bend steel, rebuild motors, and sew leather are indeed artists in their own right; a nod to the many great South African craftsmen. 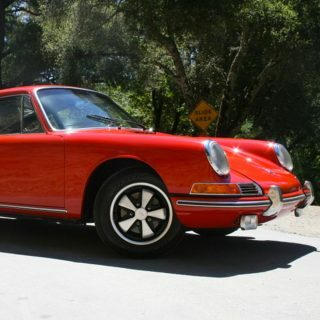 The result, this Porsche 912, is not a backdate; it’s not a forward date; it’s not a replica. It is a considered selection of Porsche-only components that deliver a contemporary drive, wrapped up in understated awesomeness. Gavin explains, “When one places an uprated 2.7 litre 240hp motor in a lightweight body with contemporary brakes and suspension–the entire world comes alive. This car is fast and you feel totally connected to the road in every aspect. Its ‘real’ in every respect; and you don’t look like a pretentious prat.” Best of all, it gets driven hard. 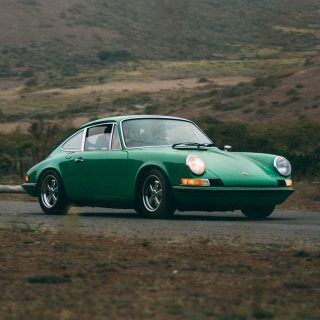 This 912 is the perfect blend of form and function, exemplified by features like contemporary 911 headlamp units encased within the original ‘68 lenses, combining classic styling with modern-day performance; a consistent philosophy throughout the car. The body shell has been stripped and coated in seven layers of bespoke paint, and you’d be forgiven to have a double take when observing the wheels; at first they look like a period Fuchs rim, but under closer inspection you realise they’re skilfully finished Porsche Cup One rims, a tribute to the original, in front of 4-pot Porsche calipers. The interior features premium grade, hand-stitched tan leather with classic piping on modern Porsche seats and a punched leather dashboard, coupled with a gorgeous, hand-restored, wooden Nardi steering wheel. 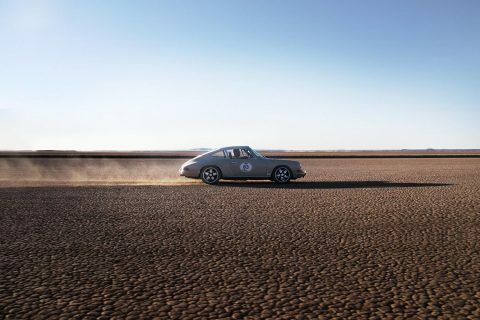 Once the 912 was completed, it was featured in Porsche journals globally and since then, the Guild has been inundated with an influx of orders to build more cars, showcasing and exporting great South African Craftsmanship around the world. At the moment, Dutchmann is currently building six cars and are about to launch a new ‘series’ called the ‘Weekend Racer Sport’ (WRS) a faster, lighter version of the Weekend Racer based on the 1973 Carrera 2.7 RS. Check out part two of this series, here. I’d give it period correct Fuchs, a Jackie Stewart prototipo wheel, and I’d remove those front bumperettes. Really lovely car though overall. This sure is one clean Porsche. I’ve read the comments and agree on a few of levels (I own a matching numbers 912) but there’s something unique about this build that makes it fresh. It doesn’t try to replicate the growing number of ‘outlaws’ (a gangsta term that seems so lame). It’s more of a considered ‘hack’ that aims to make something better out of the donor and had a clear purpose in mind. I think it’s cool. Love the wheels. Not sure about the seats, but I guess it beats the 4-point racing harness options. Nice job. I’ve got to agree with Keith, Nate (Six Feet Under anyone?) and Felix. This car looks very clean and all, but it’s not a 912 anymore. 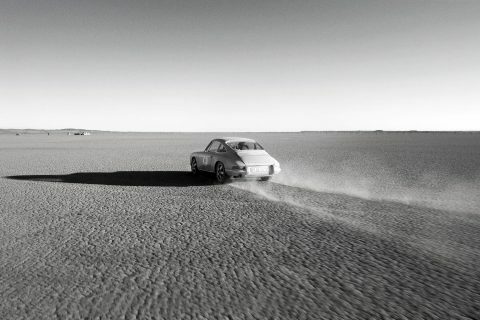 What makes the 912 so charming is its baby 911 nature. The fact it drives almost like the big one, yet its modest engine allows one to drive spiritedly and have more fun within the confines of the law, driving a slow car fast. 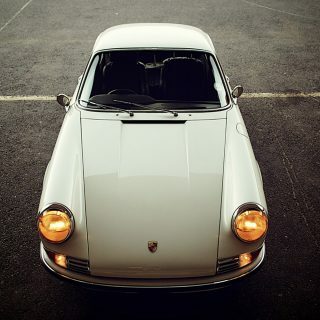 While the 911 remains an icon, the aforementioned reasons lead me to believe that the 912 is the ideal classic car for me. I have to agree with felix and Nate. 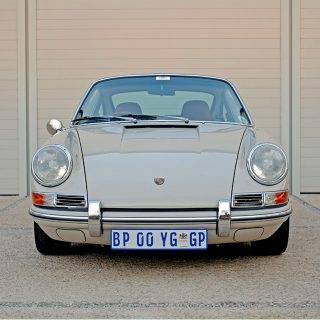 When does a 912 cease to be a 912 and become a 911? Certainly when you put a 2.7 liter 911 motor into it. I have seen this particular hybrid on various other web sites. It’s a nicely restored car, however the wheels aren’t to my taste, hard to beat steelies, especially chromed steelies or of course Fuchs alloys. I am also not a big of the seat choice. To each his own. I am pleased it ticks all the boxes for Gavin. This is indeed a fantastic piece of rolling art. I’m not familiar with the wheels on this 912/911 hybrid, however. Can anyone enlighten me? The wheels are 964 cup wheels, painted to resemble fuchs wheels. I see it now! They look great – very creative work. So it’s not a 912 because it has 911 engine, in my words: a another complete ruined 912. What color is that 912? Looks great. So its a 911 with 912 badges? That is definitely one good looking Porsche I must say. It looks so damn clean you could eat off of it. I know the Porsche 912 was the sort of ‘entry level’ model but its nice to see it get some attention. In my opinion driving a car like this hard is the only way to drive. Its way better then seeing it become some museum piece rather then what it was originally intended to do.